Being outside in the frigidly cold weather is almost never fun, especially now that the Polar Vortex has made a return visit. But because snow falls when it wants and doesn’t always differentiate between comfortably and uncomfortably cold weather, using your Toro or Ariens snow blower to clear off the drive may have potentially serious consequences. Shivering: Remember how hot you get when you go for a hard run or bike ride? That’s because your muscles are using up more blood (a hot liquid) and bodily energy, with the latter being an exothermic reaction (gives off heat). To safeguard against overheating, the muscles in your body release this heat so it doesn’t stay trapped inside, and it’s the same sort of concept with cold weather. 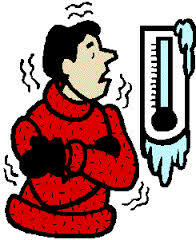 Your muscles are trying to generate heat, so they do that by creating movement and increasing blood flow—shivering. Red Cheeks: The colder the weather gets, the more our bodies try and shunt blood away from the surface and to the core of the body so the most important organs are protected. But if vasoconstriction—the narrowing of blood vessels—means less blood at the surface, how do our cheeks get red? The answer lies in burst tiny blood vessels, which gives them—and our hands—that red look. If left unprotected, the lack of blood and oxygen at the surface can eventually cause tissue to die—frostbite. Runny Nose: Our noses have thousands of tiny little hairs—cilia—lining the insides to act as miniature heaters and chimney sweeps. Every time we breathe in through our noses, the cold air brings with it tiny particles that are caught by the cilia. This, combined with cold air being so dry and simultaneously getting warmed, causes our noses to overreact in trying to moisturize the inside. Fast Pulse: You may notice when it’s super cold out, your heart beats faster than usual. This goes hand-in-hand with vasoconstriction, with the heart now pumping the same volume of blood through less vessel space, as well as pumping harder to move the muscles to shiver. If it gets cold enough, your heart can beat fast enough to trigger ventricular fibrillation—a condition of extremely abnormal heart activity that inefficiently, or not at all, pumps blood. Lung Spasms: Your lungs are also maladapted for cold weather, as they’re designed to operate within a certain temperature range. Spend enough time outside, and the air going in through your nose or mouth won’t have had a chance to warm up enough before it reaches your lungs, and can cause them to spasm. This leads to wheezing or shortness of breath, even after just one minute in very cold weather. Brain Confusion: Lastly, cold weather also adversely affects the brain, which is a highly-tuned instrument in terms of weather and temperature. When it’s not in the right temperature range, it can cause you to have impaired judgment, slurred speech, and less cognitive awareness. These symptoms are also indicative of hypothermia. Next time you take out your Toro or Ariens snow blower during really cold weather, evaluate how important it is to clear every inch of your driveway in terms of the potential impact it can have on your health and maybe choose to only clear the sidewalk until it warms up a bit. But when the mercury does finally rise, make sure you’ve got one of Snow Blower Source’s Toro or Ariens snow blowers, and enjoy free shipping to the lower 48 states. Just like buying a Ferrari for the racetrack and a Honda Civic for daily life, choosing a Toro or Ariens snow blower based on snow fall and climate is just as important. 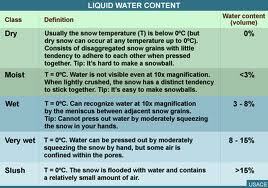 Snow can come in many forms: powdery, light, wet, clumpy, icy, granular, slushy, pellet, or crust. Just imagine if you’ve ever been skiing, built a snowman, or tried to throw snowballs. Some forms of snow make it easier to glide over than others (just ask the skiers at the Olympics), some types are great for packing together, and others can get blown away at the slightest wind. The consistency of snow has a big impact over what type of snow blower will be best for it. For example, a snow shovel is perfect for light snow, and would fail epically at blizzards. Knowing as much as you can about the consistency of snow over a season or several seasons will help you to make the best choice possible. 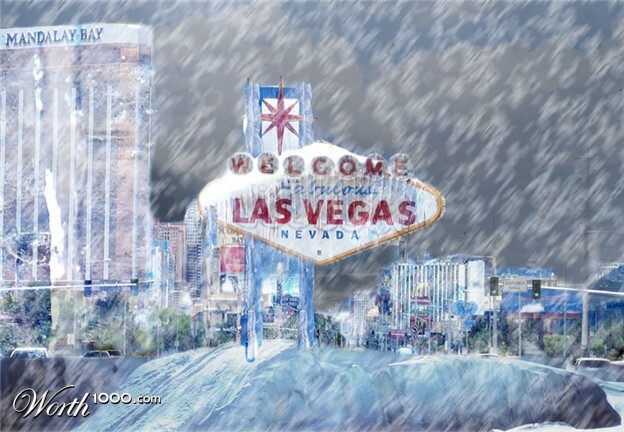 Do you live in an area that only gets snow as a freak event, such as in parts of Nevada? 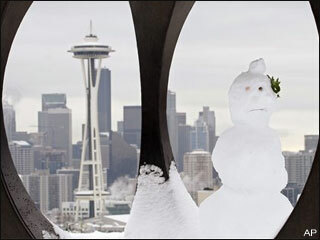 Or do you live somewhere where it seems to snow for more months of the year than not? Although areas like Reno-Tahoe—known for snow and snow sports—have been getting less snow in recent years, they’re still more thought of as “snow hotspots” than places like the Pacific Northwest. 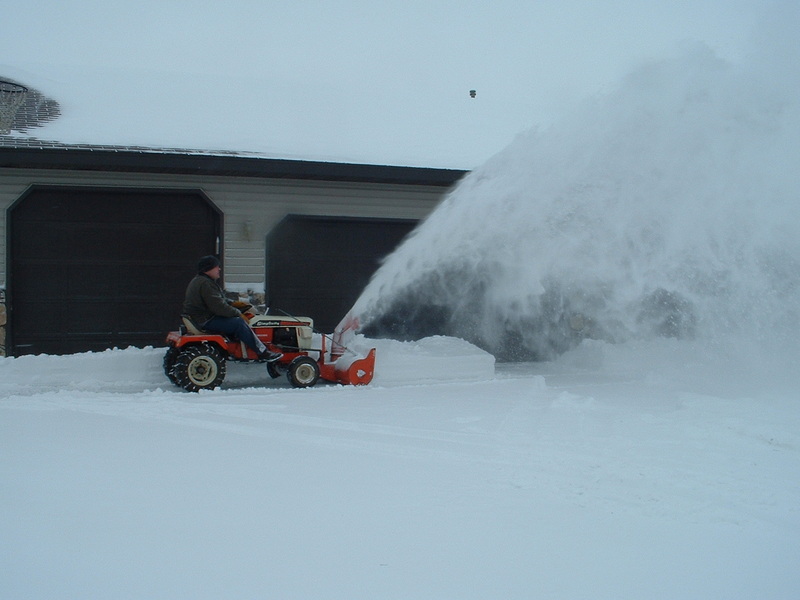 How much snow falls in a season or over the course of several seasons is one of the most important things to look for when buying a snow blower, for different machines are built to power through different amounts of snow. A two-stage snow blower, for example, is far better able to handle a two-foot snowstorm than an electric single stage, so factor in snow height when buying a snow blower. How long is your driveway and walkway? If it’s a small, curved driveway, that’s far less space to deal with than a three car wide drive that’s 40 feet long, and affects the type of snow blower to buy. This is where snow type and height isn’t necessarily as important as gas or electric. The benefits of an electric snow blower are it’s easy to run (just plug in and go), there’s no worry about running out of gas mid-job or changing the oil, and they’re really quiet and light. However, their range is limited to as far as the cord can stretch—with the risk of running over the cord—and a gas snow blower can happily run for hours without needing to look at it. Gas snow blowers might be more difficult to start for people with strength concerns, but they also provide more power and clearing ability. Now that you know exactly how to find the right snow blower, it’s time to take a look at Snow Blower Source’s inventory for a selection of the best Toro and Ariens snow blowers around. Each snow blower is shipped free of charge, so find yours today. Should You Invest in a Snow Blower? A snow blower isn’t the type of purchase where you open your wallet and pick out the shiniest product. Instead, it’s something that will be with you through thick and thin for a good number of years, and it’s important to read this checklist before you buy one. 1. What’s the Average Snowfall Like in My Area? Living in a place like Kentucky or Nevada where it really doesn’t snow too much doesn’t make too much sense in getting a snow blower. Snow isn’t a regular or heavy occurrence, and something like an electric snow shovel may be more than enough to have on standby. But if you live somewhere like New England or the Great Lakes region where snowfall is a regular part of winter, then a snow blower may be a wiser investment. Look at how often it snows, and what the snow’s consistency is. Does it start in November and last until April, or is it a mostly December/January event? 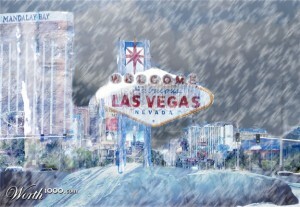 How high does the snow fall, and is it thick and wet, or light and dusty? 2. What’s My Physical Condition Like? Folks with joint or muscle stiffness, heart or lung conditions, or stamina problems probably shouldn’t be shoveling their driveways for two hours at a time, especially if the snow is heavy and wet. If you fall into this category, ask yourself what’s more important: risking your health and wellness for the sake of performing a physical task, or prolonging quality of life by investing in a machine that makes the job 10 times easier? A snow blower isn’t usually an inexpensive investment, and nor should it be. It’s a piece of machinery assembled with moving parts, and those moving parts need to be aligned pretty perfectly to ensure safe and efficient performance. If you find a two-stage snow blower on Craigslist, chances are it’s either not going to last very long, or give you fits and hiccups the entire time you own it. Set a budget for yourself by researching how much name-brand, high-quality snow blowers cost, and be prepared to spend what’s necessary. 4. Am I Prepared to Maintain It Regularly? The initial outlay of a snow blower isn’t the last one, just like a car. You’ll have to buy gas and oil to keep it lubricated and powered, invest in replacement parts when the insides get worn down, or even set aside a small fund to have a mechanic take a look at it if you’re not comfortable going under the hood yourself. Although maintaining a snow blower is far easier and less expensive than something like a car or motorcycle, it still needs to be looked at regularly. Buying a snow blower isn’t a light decision, but Snow Blower Source is here to help. We’ve got a great lineup of snow blowers suited to all climates, needs and budgets, and each one comes with free shipping. Find your Toro or Ariens snow blower today and never look at snow the same way again. Maybe you’ve decided to hold off on buying a Toro or Ariens snow blower because you think this winter is an anomaly, or maybe you’re a little wary of how to use a potentially life-threatening machine. Whatever the case is, here’s the safest, best way to use a snow blower and clear your drive. A snow blower’s auger are the curved, rotating parts you see inside, and they grab the snow, break it up, and send it to the chute to be thrown away. They can also tear off whole hands. When checking your snow blower to make sure everything’s in good working order, never stick a hand in there, even if the snow blower is turned off and unplugged. There could be something jamming the auger that, when prodded free, causes the augers to spin—regardless of what’s in its way. Along with this safety tip, make sure there are no doormats, sleds, branches, newspapers or other debris blocking the area you’re going to clear. If there are, you risk either ruining the machine or—like a lawnmower—having the machine spit up the object at you. 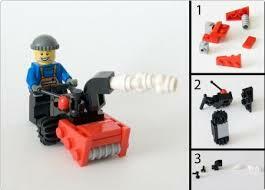 A snow blower consists of moving parts, and needs oil to make sure they don’t dry up and chafe. Always check your oil levels before you start: it may seem redundant if you’ve just filled it up, but you’re also checking for leaks or holes—signs your snow blower needs repairs. 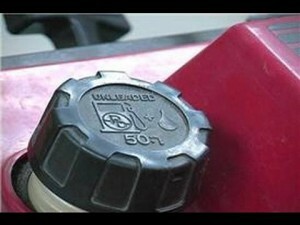 If you’re using a gas snow blower, also check to see that fuel levels are where they need to be. But if you’re using an electric, check the cord to see if it’s worn or frayed. Just as how you know not to stick anything but a broom pole or stick into the snow blower, don’t wear winter clothing that’s loose, dangly or drapey. You risk getting the ends pulled into the machine, and possibly you along with them. You’ll also need a pattern of clearing, with two possible ways of doing it. With wind, start upwind on the drive-lawn border and go up-down-up-down until it’s done. But with no wind, start in the middle and travel in concentric circles outward until you reach the drive-lawn borders on both sides. One thing to keep in mind, though, is how far the chute can throw the snow. If your driveway is really wide, then starting on one side may not be the best strategy. The goal is to clear the snow once. For more news and tips on how to use snow blowers, check back here often. But if it’s just a Toro or Ariens snow blower you’re after, browse our selection of high-quality snow blowers and enjoy free shipping on every one.